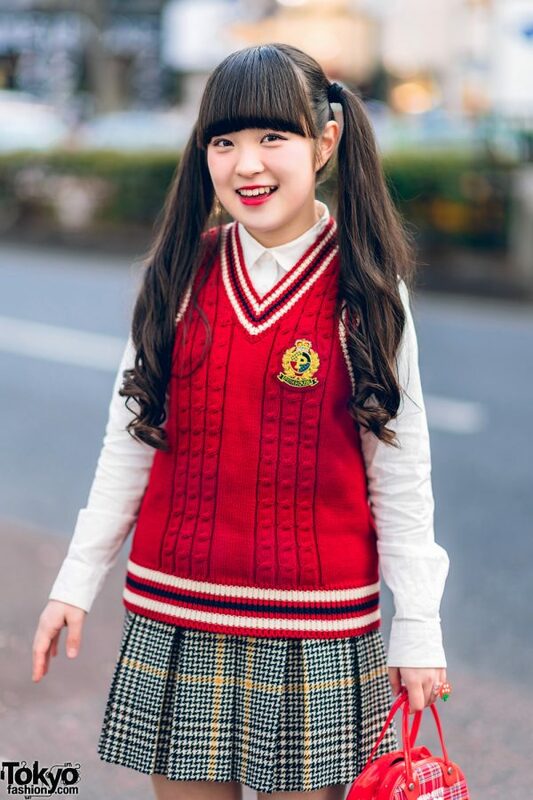 Miori is a 17-year-old Japanese student we often see around the streets of Harajuku. Miori is sporting a cute twintails hairstyle along with a knit vest by the iconic Japanese fashion brand Pink House over a Pink House shirt, a Blue Label plaid pleated skirt, Tokyo Bopper platform shoes, and a vintage plaid Hello Kitty handbag. 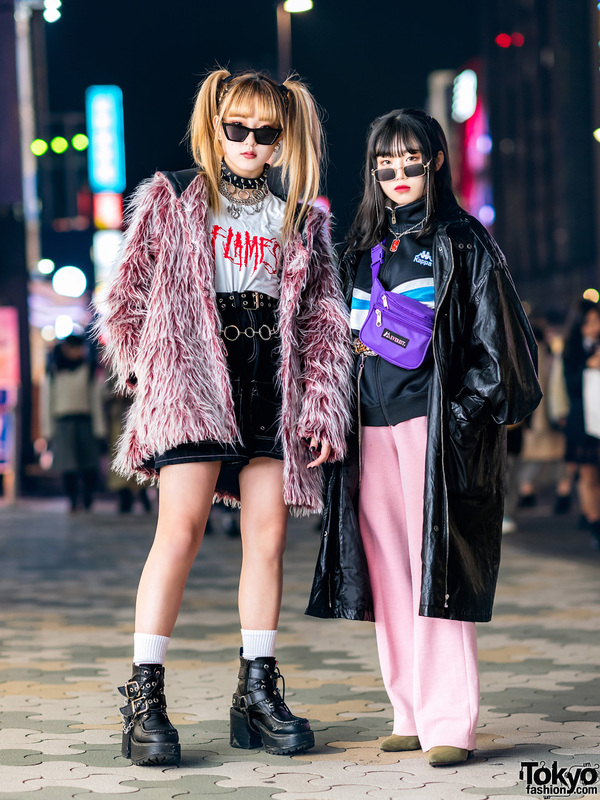 Her accessories – which include a strawberry ring – are from the Tokyo neighborhood of Koenji. Miori’s favorite fashion brand is the Harajuku label HEIHEI. 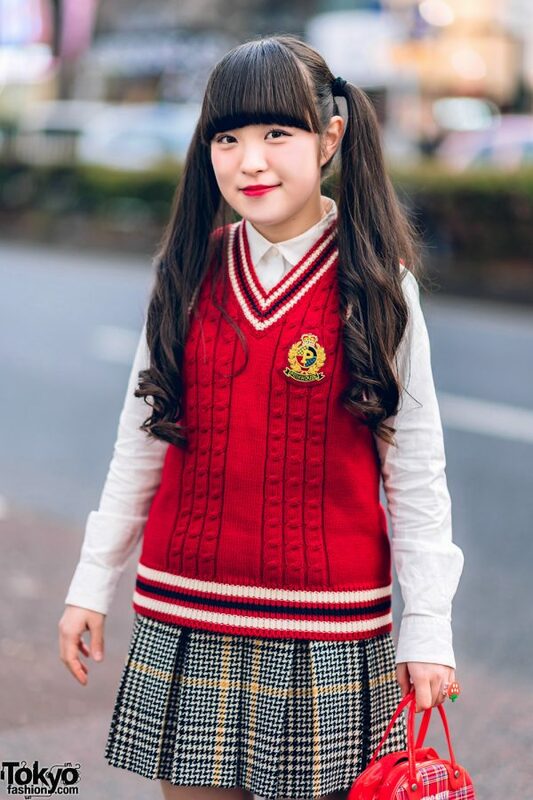 Follow her on Instagram or Twitter for more of her kawaii street style.